The Admin module is used to administer company application settings, manage business rules and notifications for cloud-based data, view SMS billing information, query cloud-based company data, and more. Password The password associated with the Field Service Management user. Password The password associated with the cloud account. 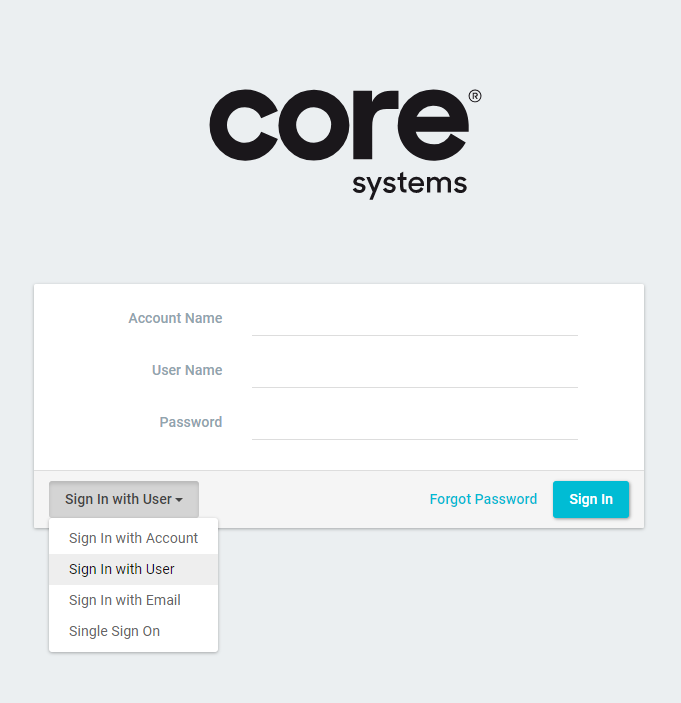 Note: If a user has the SUPERUSER role, they can access the Admin module by entering their Field Service Management account and user credentials. In the Admin app, it is possible to set a user role as superuser. can access advanced user settings in the Master Data Management app.